HP FOLIO G1 M7-6Y75 8GB, 256GB-SSD, 12.5" UHD TOUCH, WLAN, BT, (W5S06PA).Exquisite craftsmanship and exceptional performance are united in the HP EliteBook Folio. With hand-selected materials and premium features optimized for collaboration, it’s the choice for those who value a flawless experience.Cutting-edge design, innovative engineering, and refined materials come together in the sophisticated and durable HP EliteBook Folio. Confidently take on the workday with this elegant PC that passed MIL-STD 810G testing.Engage teams, clients, and vendors with the crystal-clear audio by Bang & Olufsen and the high-performance HP Premium Collaboration Keyboard that allows you to launch calls and video chats at the touch of a button on the HP EliteBook Folio. 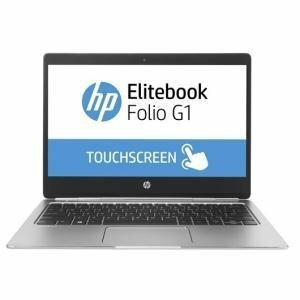 The HP Folio G1 M76Y75 W5S06PA 12.5inch Laptop was added to the Laptops category in October 2016. The lowest price GetPrice has found for the HP Folio G1 M76Y75 W5S06PA 12.5inch Laptop in Australia is $2,616.36 from Printer Barn.